What is a CBD? Central Business District: generally an area of intense commercial development in the center of an urban area. The CBD as defined in a transportation study may differ from the census definition. In the case of Miami, the CBD has always been in the Financial District where the Bank of America and Wachovia buildings reside. Now, with the dramatic influx of residential skyscrapers in the Financial District, the area is becoming less commercial and more residential. Within 3 years, residential and commercial skyscrapers will intermingle in a way that makes it difficult for the observer to employ the definition of a CBD as being mostly commercial. So then, 3 years from now, how will one determine where the CBD lies? Well, in the case of Miami, until a substantial commercial boom takes place, it is where there is the highest concentration of high rise density. Currently, the densest urban area remains the CBD. However, Brickell Village is quickly coming into its own. Uptown, with several ambitious projects is not too far away from the CBD crown either. The only way to properly forecast where, or even if the CBD is shifting, is by gathering all the available existing and proposed building data and creating visual representations of the forecasted building density. 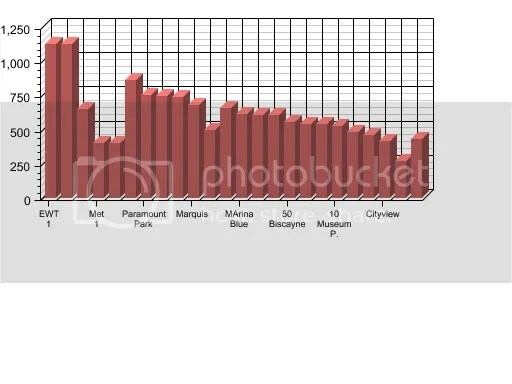 Above: Brickell Village Bar Graph-each bar represents a building that is either proposed, under-construction, or recently built. Right click to view full image. Data can be misleading at times, whether it is in this case will soon be determined. I have employed the use of bar graphs that are designed to visually represent new building density in three neighborhoods, which will be the subject of this analysis: Brickell Village, CBD, and Uptown. According to the bar graphs (scroll down to view all), the current CBD seems to be in for an uphill battle, especially versus Brickell Village. BV has more new development taking place. The neighborhood’s newest buildings are going to be averaging the mid-500ft. level in height. There will be 7 buildings at, near, or above 800 feet in height. To put that in perspective, what was once the city’s tallest Wachovia tower is shorter than all of them. Already the city’s current tallest, the Four Seasons, is in Brickell Village. Density is spreading west from Brickell Avenue towards South Miami Avenue and west along the Miami River. There are impediments to the growth, however. To the south west of Brickell Village is an upscale residential area called The Roads. This area will not be touched by the wave of high density developments, although it is likely to be sandwiched in-between high rises in Brickell Village and mid-rises on SW 3rd Avenue. Still, the area creates a development boundary. Such a boundary does not exist in either the current CBD or Uptown. 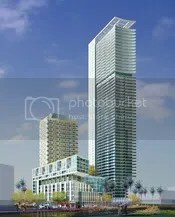 Brickell Village is seeing some interesting commercial development taking place with projects like Mary Brickell Village but there are no other major retail complex developments worthy of note. The current pattern of growth, despite its impediments, is rapid and aggressive; certainly enough to keep the CBD on notice. Through an urban density standpoint, Brickell Village seems to be on pace to outpace both the CBD and Uptown to the north. So what chance does the CBD have at maintaining its current status when the development is clearly tipping towards the Brickell Village side of the scale? Well, first one must consider events taking place north of the I-395. 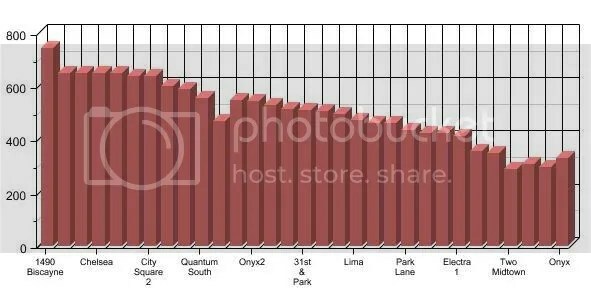 Below: Uptown density Bar Graph-each bar represents a building that is either proposed, under-construction, or recently built. Right click to view full image. In Uptown, the Terra Group has massive plans for the 10 acres bordering the east side of the PAC, and even plans for the actual Herald property and the land next to the Venetia Condo. 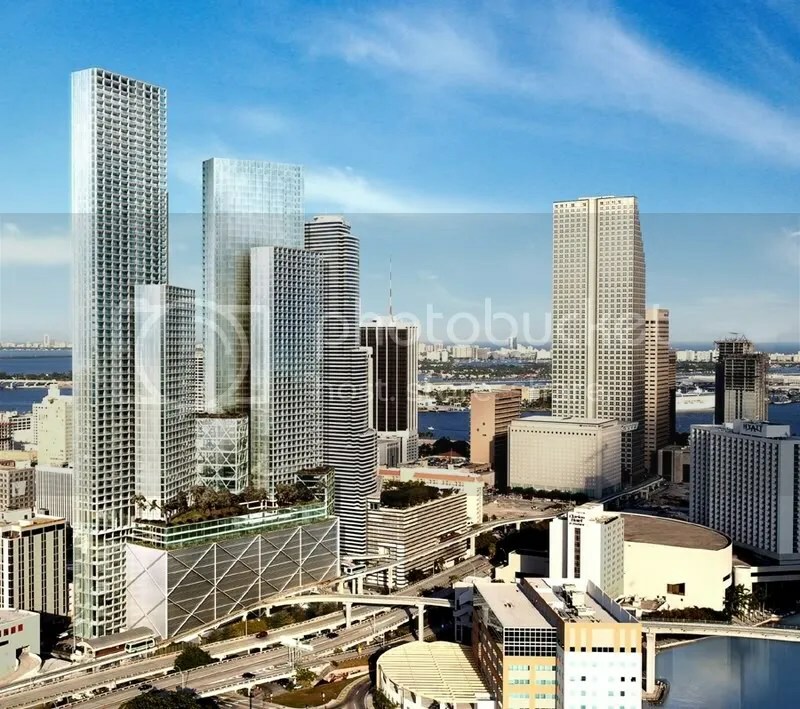 Add one 700+ tower in 1490 Biscayne and a total of seven 600+ footers in the area; an amount that would outdo the current CBD were it not for the CBD’s current rate of development, and you start to get the picture. However, the Uptown area has a healthy concentration of 500+ footers as well; nine in all. This is without mentioning the New York based Argent Group’s plans to demolish the Omni and possibly build up to seven 600+ towers on the site. The details are sketchy, but the implications are that the Argent Group plans to demolish in order to build big. Certainly, the Argent development combined with Terra’s 10 acre project and the other impressive projects nearby, make for a compelling argument that the CBD has a rival to the north as well. But most importantly, the Uptown area has an excessive amount of vacant land and under utilized land, which make new developments much more practical and cost effective to initiate and push forward. Add access to the PAC, proximity to both the Design District and Midtown Miami and the formula for success is clear. However, the Uptown area would have to see a sustained commercial development pattern outside of Midtown Miami, if it were to realistically vie for the CBD title, but even with the advent of the Terra Group’s City Square, the possibility is too far along the road to ponder. In defense of the current CBD’s status, for one, the CBD currently has the most density. All future development will only add to an already fairly dense area. Additionally, there are big plans for the Financial District, which for argument’s sake, I’m combining with Parkwest. After all, Parkwest is situated next to the Financial District and is not separated from it by any obvious barrier except the rail road tracks adjacent to the Freedom Tower. Parkwest’s boundaries are blurred at best. In mentioning “big plans” for the CBD, I mean: the Empire World Towers, the Lynx development, and the 3-phase Metropolitan Miami project. These projects are truly monolithic by any urban standards. 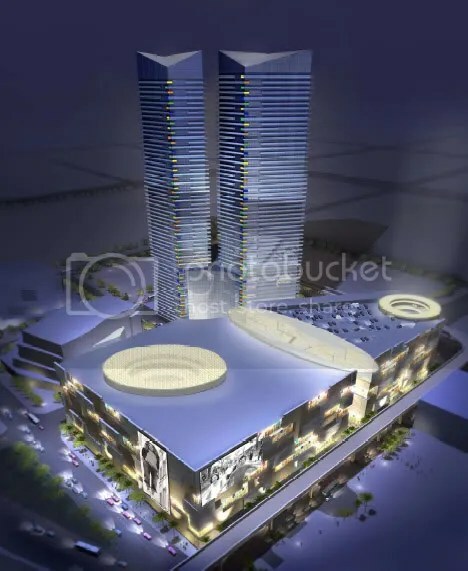 The proposed EW Towers at 1,124ft are to be the tallest condominium towers in the world. The aforementioned multi-phase projects, excluding Met 1 and 2, average out at approximately 965ft in height. Other developments such as Epic, One Miami, Everglades on the Bay, and the other Metropolitan towers contribute with two towers each. Importantly, Parkwest has served to supplement the CBD’s density to the North. Parkwest will boast two 700+ and three 600+ footers. An extremely important factor in determining the location of a CBD is identifying where major transit lines meet and people congregate. Having the American Airlines Arena, Bayfront Park, Bayside Marketplace, and Museum Park located in your neighborhood can be considered obvious points of massive social congregation. The Government Center, which is the closest Miami has to a Grand Central Station is located in the CBD, and most of the People-Mover tracks and stations run in and around the CBD. Through a transit standpoint, no other neighborhood can get close to the current CBD. Access to the Port of Miami is found only in the existing CBD, and there is no clear strong pattern of commercial development in Uptown, although a decent amount is taking place in Brickell Village. However, a decent amount of commercial development is not going to make up for the Financial, Jewelry, Media and Entertainment District, and Courthouse Districts of the current Central Business District’s fold. 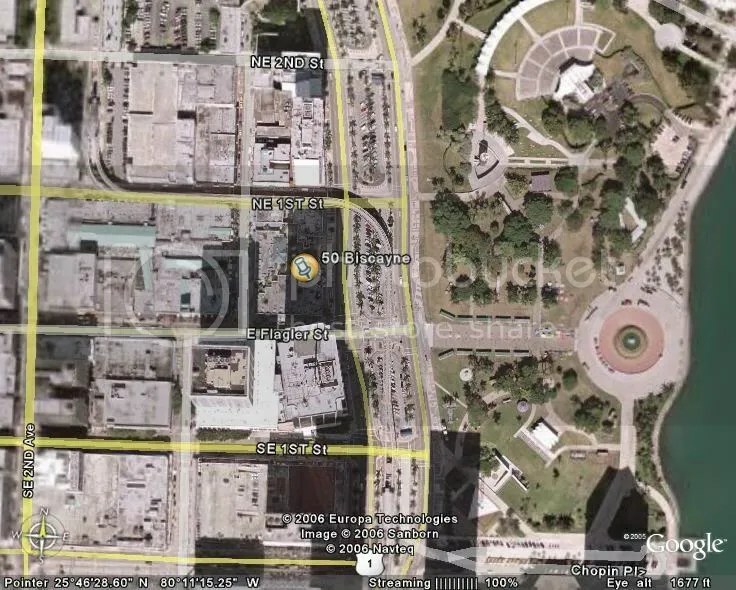 Furthermore, the current CBD has more park space in Bicentennial (the proposed Museum Park) and Bayfront Park than its counterparts to the north and south. Parkspace is another important social congregation requirement in identifying a CBD’s location. So maybe, after all, the visual data is misleading and the CBD is not going to shift north or south. Maybe despite there being a potential surpassing of building density in Brickell Village or even Uptown, the CBD simply has too many strategic variables in its favor; transit centrality, major civic centers, government facilities (local, state, and federal) and public parks. It is hard, if not impossible, to depict the social and transit advantages of the current CBD on a building height/density bar graph, but regardless the bar graph illustrates a compelling occurrence: the densification and expansion of the Miami skyline well beyond its current confines. Below: CBD density Bar Graph-each bar represents a building that is either proposed, under-construction, or recently built. Right click to view full image. Continue reading past bar graph for additional notes. I have taken a number of buildings, most of which are proposed or under construction, others which have just recently been topped off. This study has been aided by three bar graphs. Each bar graph is named after and represents one of three neighborhoods: CBD/Parkwest, Brickell Village, or Uptown. Each bar within the graph represents a building. The number scale on the left vertical margin of each bar represents height in feet. Therefore if a vertical bar reaches the 750 hash mark then the bar represents a 750ft. tall building in the neighborhood referred to at the graph title. 1. 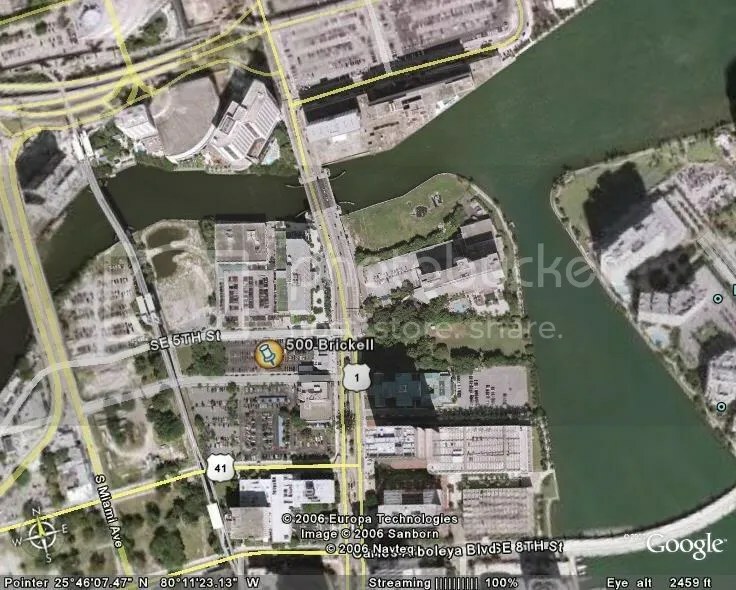 I have excluded most buildings on the Miami River both on the Brickell Village and CBD sides. I have done so because I believe that the riverfront development needs to be analyzed separately. The riverfront represents a different kind of neighborhood from its urban counterparts. 2. Not all buildings have been included in the bar graph. Certainly it was not necessary to display all building representations. For the sake of simplicity I have included each neighborhoods most significant developments. Typically, “most significant” means above 250ft in height; considering the level of development taking place that’s no small umbrella. UPDATE: Onyx2 lot, plans, and permits are for sale. The project is at a halt. This 543 ft. cylindrical tower is nice to imagine looking at. One has to imagine because it currently doesn’t exist. Regardless, Onyx2’s design is visually stunning and downright well situated; in a neighborhood that it is helping define—the Edgewater area of Uptown. I must say that the ceilings are high, the glass is aplenty, and the shape is pleasant to the eye. With 49 floors, it is an important addition to the skyline. This building may have the significance that the Santa Maria had for Brickell, but in Uptown. Its aesthetic and material standards are high. Bermello, Ajamil, & Partners did an incredible job designing the building’s front. Yes, I said front; the side that faces the bay. The devil’s advocate says: the rear side of the building, which faces the interior, resembles a vertical concrete highway. This was obviously designed to make it more cost effective to the developer, but does all the concrete have to be concentrated so obviously in the rear? It does not look good. It even blocks the view of the building’s crown. There is just a clear imbalance between the two sides of the building not just in material but in shape. One side is flat and plain with tons of concrete. The other side is cylindrical, unconventional, and glassy. Is it meant to contrast so greatly? Will it work? That is, for who? The residents of the building certainly won’t mind, but everyone in the interior will probably mind. 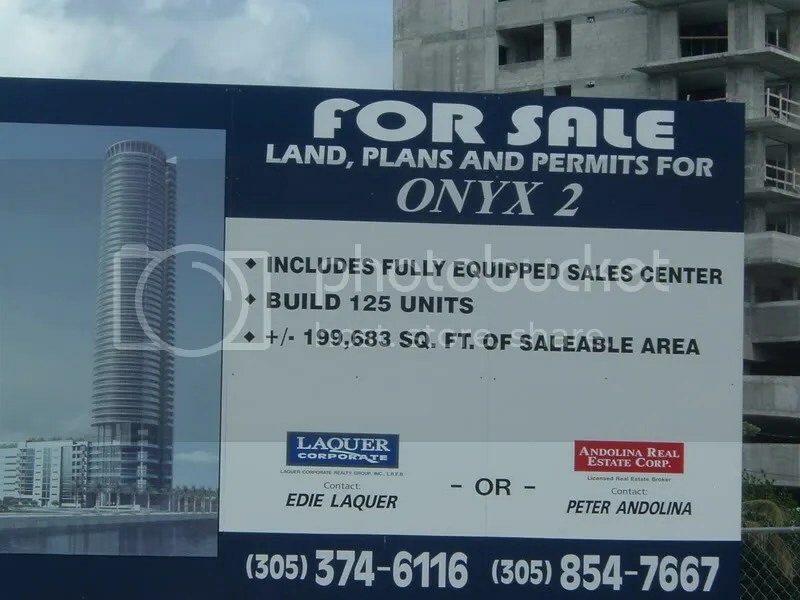 The problem is that Onyx2 is 543 feet tall and will be seen from just about everywhere in Edgewater. Putting the devil’s advocate argument aside, the building is a great leap forward for Miami and Uptown. I mean that through the standpoints of urban neighborhood development, city architecture, and the local economy. The building, along with several other key Edgewater projects, is serving as a catalyst for future Edgewater development progress. From the bay’s vantage point, the building will be among the most iconic and photogenic, and the city’s tax coffers will no doubt benefit from the tax revenues. The floor plans are very well laid out. All units have bay views. 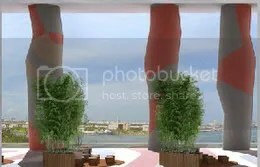 The views are near panoramic; one of the benefits of the cylindrical design. The building’s amenities are various and above average for luxury condos. 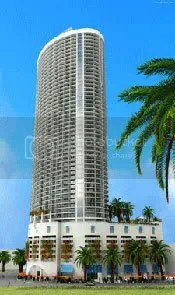 The 426 foot 500 Brickell tower complex is well situated, although not waterfront. The two rectangular towers are connected at the top with a bridge-like architectural structure with a large oval opening allowing in sunlight. Such a connecting architectural feature is exciting and novel by Miami Standards. It will create a great visual effect for the building’s residents on the amenities deck; a sense of inclusion in exclusivity and proportional grandness. 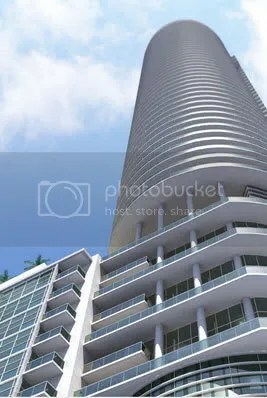 The mostly residential complex is located in the northern portion of Brickell Village right on the west side of Brickell Avenue. The buildings will have glass balconies reducing the bleakness of concrete. There will be 20,000 sq. feet of retail space in the complex. Units range from 1 – 2 bedrooms with no half baths (927 – 1442 sq. ft.). Pros: The property is ocated in a vibrant and growing already established neighborhood, so unlike Parkwest, Uptown, and even the CBD, there is no waiting for neighborhood stability. The developer is top caliber. There are plenty of built-in state-of-the-art unit features including touch screen technology. Although Brickell will not be fully exempt from traffic woes, the traffic should not be as bad as in the CBD or in and around the PAC. Cons: There are 633 units in two 43 story towers. This is no small number of units. This building’s going to be crowded when fully occupied. Expected amenities include: 24 hour security and valet, recreational deck with pool, and club room with billiards. Unique amenities include: a 20-seat movie theatre, concierge services, I.R.I.S touch screen home technology, and wine cellar. Overall the complex’s two towers will add more density to an area that is seeing a lot of major activity. Across the street, Jorge Perez is building 5 more major towers; the three Icon Brickell towers and the two Plaza towers—within a two square block area one can really sense the Related’s major influence with 7 towers. On the surface, the building is easily dismissed as ordinary, but with its crown connection at the building’s top, excessive glass facades, and tall stature, there may be more to it than meets the eye. The 549 foot ft. 50 biscayne is located in a very conspicuous spot right on Biscayne blvd. 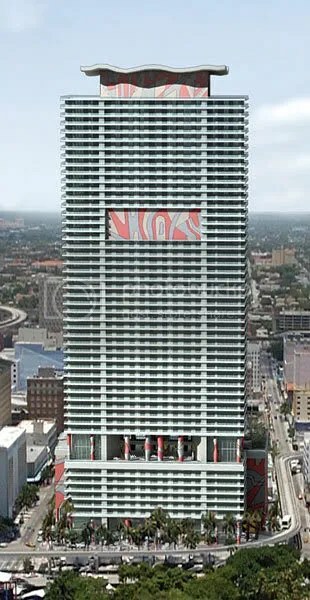 The One Biscayne Tower, once the tallest in Miami, is now going to be overshadowed by this new 54 floor neighbor. The building’s design is a simple rectangle. Jorge Perez hired Sieger-Suarez for the architecture and the Rockwell Group for the interior. It has a unique crown similar to Jade Brickell except involving color instead of steel and a somewhat different shape. La Salle Bank provided the financing. Unit amenities abound. Units come fully furnished. Traffic aside, the building has an incredible location in the heart of the city, is located directly across from a beautiful city park, great bay front shopping, the AA Arena, proposed museums, and South Beach is 10 minutes away. 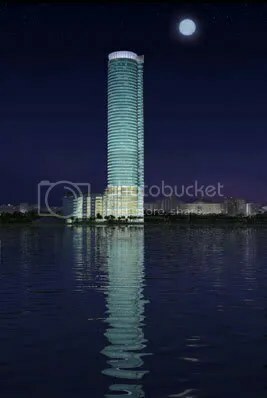 This building is quite tall at 554 feet with 54 floors and is not over saturated with units. The three story lobby will certainly leave a good impression on all those who enter it. 15,000 sq. ft, of retail will help breathe life into the streets below and is a balanced amount for this scale a building. Buying from the Related Group, you know you can expect quality and timeliness. Stunning views for East side residents. It;s hard to put a value on it. 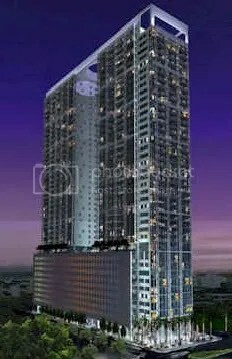 Its location right in the heart of the CBD guarantees plenty of traffic below. The building will also house a boutique hotel, which may in the future become somewhat of a nuisance to security and privacy starved residents. The Building makes use of color. I’m not sure if I like the psychedelic color scheme, but I respect the effort to make concrete more pleasant to look at. The ceiling heights could have been 9 feet for the tower residents, instead they are 8’8, which although ample, may indicate cost cutting by the developer. Overall, 50 Biscayne is an excellent addition to the skyline and a welcome member of the CBD high rise club. 50 Biscayne and Everglades on the Bay are forming something of an urban skyline connection between Parkwest and the CBD. The Empire World Towers, 600 Biscayne and Paramount Park will close the gap. 50 Biscayne’s role is thus vital for the urban landscape. Currently, the CBD holds the urban density crown in Miami. Although Brickell is competing and Uptown has ambitious plans, buildings such as 50 Biscayne help keep the crown in place. In 5 years though, it will be interesting to see where the most density lies. This morning I went looking for Jackie. I couldn’t find him. Instead, I found Bill, a homeless Vietnam veteran. He said he hadn’t seen Jackie all morning. Jackie’s also homeless. I first met him about two and half years ago. Walking in Downtown, you get used to the homeless people. You smell the urine sometimes. You realize some urinate on the same spots daily and you could even notice and avoid the urine stream stains. It’s easy to not want to pay attention to the homeless. So, that’s exactly what I would do two and a half years ago. Not pay attention to them. Everyday I would walk and hear some request for money and would give some bogus excuse or ignore it all together. “I don’t have change. I’m on my way to lunch. I’ll give you something on my way back. I only have credit cards.” You name it. I’d say it. In retrospect, I should have ignored the requests if I wasn’t going to give anything. But, I didn’t. I find it hard to ignore people. I responded with randomness. Of course, regardless of what I would say, I wouldn’t return. Until one day, after giving another one of my random excuses, I was stopped in my tracks by a tall, skinny, black old man with blue eyes, and a tired, long, and worn face. He said to me, “Why you do that?” “Why do you tell me you gonna come back and never come back?” I felt embarassed and just quietly looked down. I walked away. I was by the JESU church on NE 1st Avenue and 3rd street. As I walked away from him, I felt regret in my heart. This homeless guy was right. So, I went to one of the parking lot toll guys and asked him to change a 10 dollar bill for me. I went back to the homeless guy and asked him his name. “Jackie”, he responded. I asked him how many times I had not come back when saying I would, and he remembered the days and my lame excuses. I couldn’t believe it. This guy had great memory. The first thing to mind was that he can’t be doing hard drugs. I gave him a dollar for every one of my lame excuses, four in all. This began a two year old friendship that continues to this day. Jackie has even given me gifts (a waiter’s tray, and ironically a bath set in a wicker basket.) He said that the bath set was for my pretty lady. One time he told me that if I ever needed a couple of bucks for an emergency, he’d raise it for me. Now, I would give Jackie at least two dollars every time I saw him. Like a friend, I’d listen to him when he’d talk. I rarely talk to him for more than three minutes out of each day. Still, I realized I was one of many sponsors who helped him. When times got rough, he’d ask for 5 sometimes 10 bucks. When he felt he had to go to the hospital, he went to his friends and would ask for money for transportation to go to Jackson Memorial. I realized I was one of his most reliable friends. I realized how important I and others like me were to someone like Jackie, who to most, is not worthy of an after thought even less a name or identity. I appreciate Jackie and am determined to address the issue of homelessness head on. 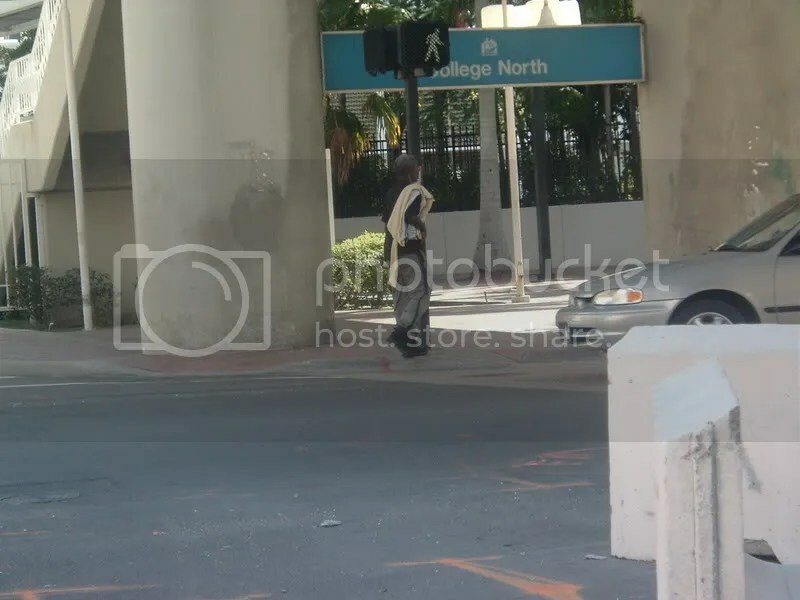 Jackie represents hundreds of homeless people in downtown Miami. There are plans for Camillus House to be moved west of the I-95, but these guys will just find their way back to the city, because they have to; it’s where their sponsors are. They’re not going anywhere, so long as they remain homeless. Many of them are mentally unstable, but others, like Jackie, are sound of mind. During hurricanes they hide in alleys, like cats. One of them Ralph, is 62 and in a wheelchair, and had to do just that during hurricane Katrina. He said God looked after him. 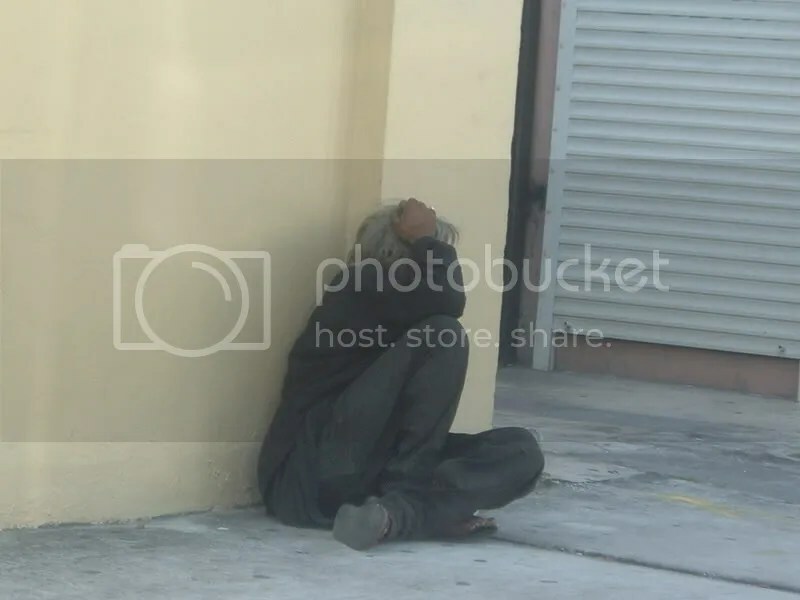 I’m going to, as part of my overall analysis of Miami’s historic urban transformation, report on homelessness regularly. How many of them are there? How rampant is drug use among them? Where do they congregate most? These are not questions people like to ask, but they are vitally important if one is to understand one of the most obvious problems present in Miami. Award winning architect, Chad Oppenheim’s designs, although not limited to Miami, are mainly concentrated in and around Miami. His influence is being felt most in the Design District and Uptown. Visually, the Cornell graduate’s projects are sharp and stunning. There are patterns to the designs, however. 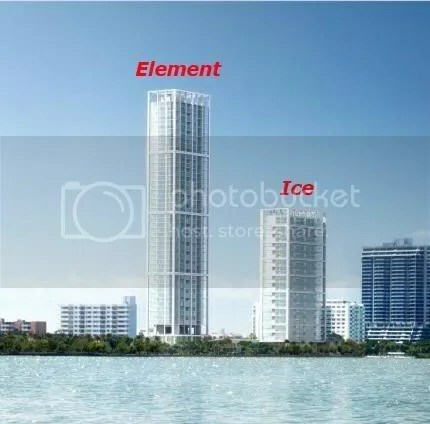 Notice the Ten Museum Park tower and compare it to the Ice and Element designs (Element was formerly known as Ice 2). Both have high ceilings in each floor, are draped in glass and steel, and are vertically elongated with a basic glass cube shape. The cube seems to be the distinguishing characteristic of Chad Oppenheim designs. The Lynx development in the CBD, which is his most ambitious to date, maintains the cube-like design pattern except on different levels. In observing a few of his designs, you will be able to distinguish them as Oppenheim designs easily. 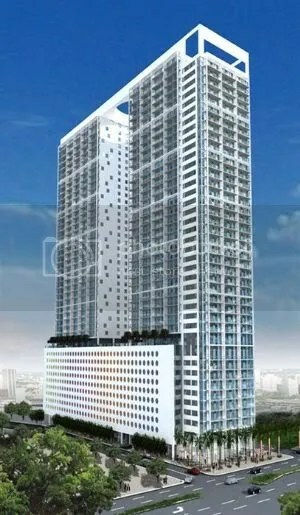 Sky Residences also resembles the Ice and 10 Museum projects. Clearly, Oppenheim is not known for curvy, colorful designs. His are bleak, contemporary, and clean. The COR project in the Design District is a continuation of his rectangular cube designs but has a white concrete shell with what appear to be large port holes exposing a glass inner base. 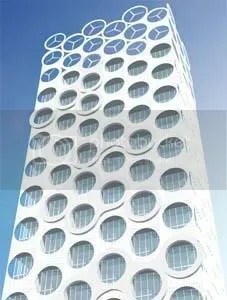 The crown of the tower has multiple symbols that resemble airplane propellers, thus giving the building a feeling of movement. The design is forward thinking and interesting but doesn’t indicate a departure from his former designs. His mid-rise Cube project is fittingly named after what seems to be his defining shape. Here he takes a multi dimensional approach to his cube designs and has cubes protruding from the buildings base. It makes for an abstract, futuristic look, but again does not break any new ground for the firm. The Cube development is heavy on steel, which also gives it an almost industrial/warehouse undertone. Oppenheim designs are easy to spot. Is this good or bad? Well, it depends. If you want versatility and dynamism in design, then it is bad. If you want steady characteristic designs, then it is not. There may be a change in store for his future projects. Maybe his designs will embrace curves. Maybe he will break the cube mold that seems to confine him his creativity, but as of right now, nothing has changed. We are left with the same. Through a developer standpoint, I don’t see why I would want my building looking like three or four others nearby. However, it may just be that his clients want what he offers. They know what to expect. His designs are simple and unobtrusive. As of right now, Lynx, the Ice development, and most of his Design District projects remain frozen. There is little activity on those lots. Certainly, it would be nice to see them go up, but progress is slow. It is not clear why. The architect designs, the developer executes. What are the implications of these issues? Is this pattern related to the architect? Some implications: his projects might not be an easy sell. Maybe they are too expensive to build and therefore difficult to finance. Maybe they are not appealing to buyers–this is doubtful. Or, maybe, he has not done business with the most adept developers. Regardless, the firm’s role in Miami’s growth is important and influential and not likely to diminish. Hopefully we’ll see some more dynamic designs come from his drawing boards and some more of his big projects get topped off. I will begin my analysis of Uptown with the Performing Arts Center District. First let me geographically define the PAC District as being north of the I-395, west of Biscayne Bay, East of North Miami Avenue, and south of 17th street. It is actually the smallest of the four (4) neighborhood segments that I seperate Uptown into (Edgewater, Wynwood Arts District, and Mid-Uptown being the other three). However, it arguably has the most activity going on. Clearly the neighborhood revolves around the Cesar Pelli designed Performing Arts Center. The development of the PAC (thanks to Knight Ridder) has sparked most of the development in Uptown. 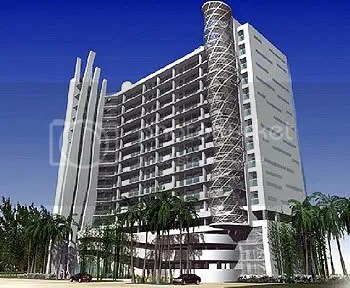 Several of the projects are named after it; Opera Tower and Cardinal Symphony are perfect examples. Importantly the PAC adds a high end good life connotation to the neighborhood. The fact that Cesar Pelli has stamped his genius on the area is invaluable. Importantly, the neighborhood is located right off the I-395 which gives it immediate access to all areas of Miami-Dade County in all directions. It is situated just north of the bourgeoning Media and Entertainment District with its growing nightclub population, which means that the area will probably have a vibrant nightlife as well (Pawn Shop is a good example). The area is, however, probably going to be more filled with restaurants. A restaurateur knows that his restaurant will only be successful if located in the right place. What better place than near the PAC? 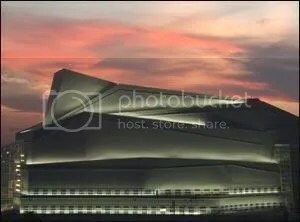 Visitors to the PAC are going to be dressed up, out for the night, and ready to eat dinner nearby. So, the PAC District is going to be ritzy, cultured, and exciting. But, how will the neighborhood look? Well, let’s go one project at a time. First, Pedro Martin has tremendous plans for his 10 acre plot of land directly east of the PAC. He plans a two phase 64 story mixed-use mostly residential tower complex at 649 feet (One Herald Plaza I and II) as well as City Square Tower which will be 62 floors at 640 feet. Additionally, as part of the City Square development, he plans a 641,104 square foot retail center, which will add an estimated 3,200 permanent jobs to the local economy plus 4,052 badly needed parking spaces to the area. 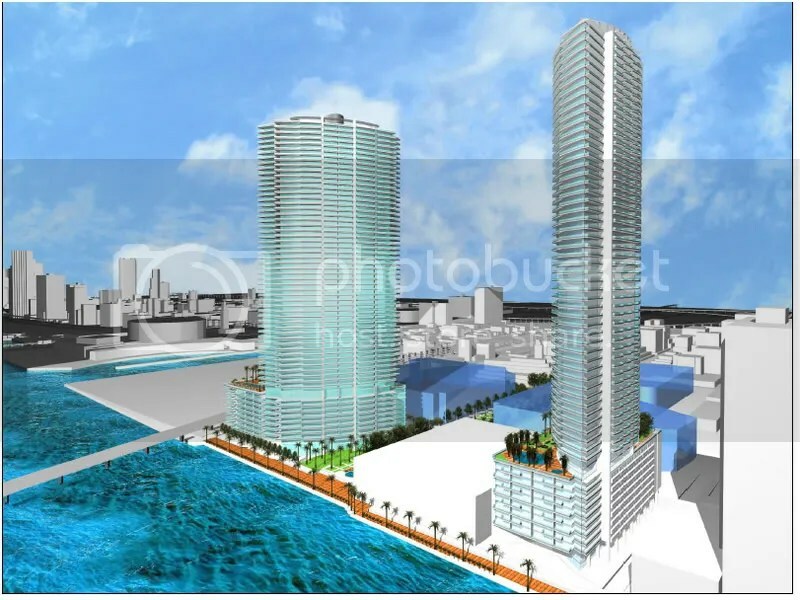 Nearby, just south of the existing Venetian Condominium tower there are plans for a 64 story hotel/condo tower. Even the site of the Miami Herald is not safe from demolition as there are plans currently on the drawing board to build a tower on that property as well. The latter two projects are likely to get quite a bit of resistance, but are still demonstrative of the rapid juggernaut growth of the area. The multi-phase Terra project is quite astounding. Regardless of the Terra Group’s recent success, even this project must seem mind boggling to the company’s principals. It is the second most important and ambitious project in all of Uptown (2nd to Midtown Miami). It will be, however, the most iconic development (highly noticeable) in the entire Uptown area. 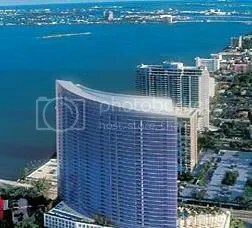 Its location next to the I-395, proximity to the bay, massive height proportions, abstract design, and ideal spot next to the PAC will ensure that. Adjacent to the property are plans for the Anderson Opera Center, which will add another venue for the performing arts. Adjacent to the AOC property are plans for the Anderson Opera Center Tower at 57 floors and 649 feet. Moving slightly north along Biscayne Blvd. in between the PAC one discovers that the development activity continues with vigor. 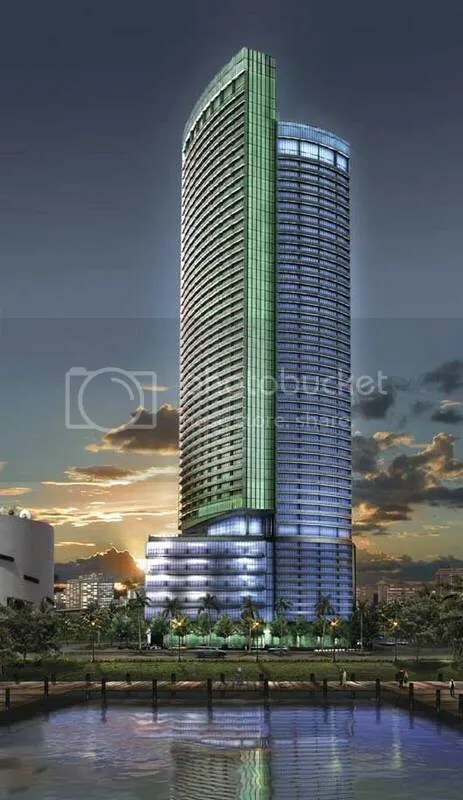 1490 Biscayne Boulevard is the site of what might be a 744 foot tower with 73 floors. It is proposed and may not be built, but the plans are there, so might the capital to back it up. 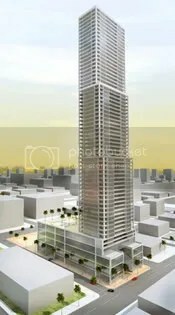 The Chelsea on the 1550 block of the Boulevard is planned to stand 649 feet with 52 floors (this means high ceilings). Standing 600 feet in height the 60 story Cardinal Symphony tower will add to the mix. One block north there are plans for Urbana, a 549ft tower with 48 floors. Urbana is planned on 17th terrace just west of Tibor Hollo’s 56 story (under construction) Opera Tower. Keep in mind; these towers all but stand side by side near Biscayne Blvd. Furthermore, place them in any U.S. city and they will be among the tallest and most impressive. The PAC district is for real. But, I’m not done. The massive Omni Mall, currently owned by New York based Argent Ventures is planned for demolition. The entire building is 16.5 gross acres; stretching from the 1500 to 1700 blocks of Biscayne Blvd. The plans are sketchy at this point, but rumor has it that they plan 7 towers for the site. Argent Ventures is seeking to receive financing from New York-based iStar Financial. 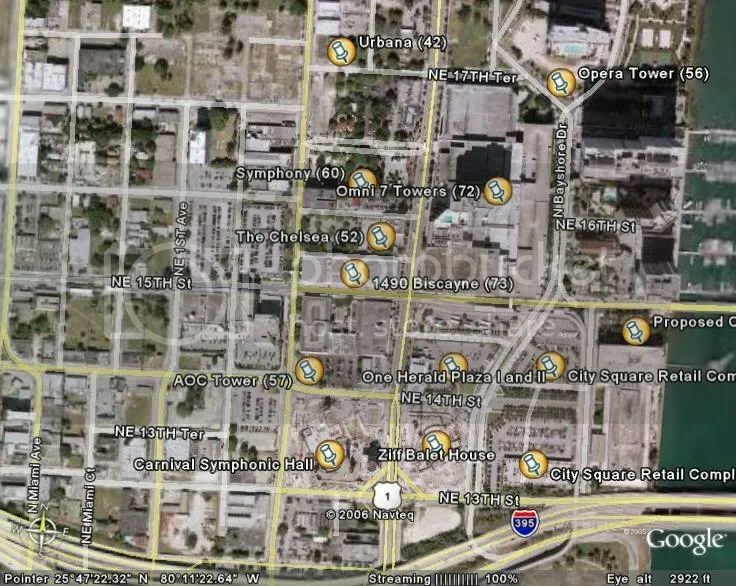 If indeed it is the case that multiple towers, potentially 7, are built on the Omni site, then the Miami urban landscape will take a dramatic shift north of the current CBD. As of now, Brickell is out pacing other Miami areas in development, but Brickell is already saturated with buildings, new land is scarce, prices are high, and the area lacks white elephants (expensive high-profile government/private funded civic projects) such as the PAC or Museum Park to propel it further. Unlike Brickell and even the CBD to the south, Uptown and specifically the PAC District has quite a bit of vacant land. Just west of the PAC, the area along North Miami Avenue between 14th and 17th streets is a veritable developer’s shopping mall of vacant and under utilized land. If high density development were agriculture, we’re talking the Fertile Crescent here. Surely, even with the current market slowdown, the long term future of the PAC District could not be brighter; considering the area’s new found identity, rapid growth, ambitious plans, and large swaths of ripe-for-the-picking vacant and under utilized land. But most important of all, the neighborhood will be abuzz with activity, events, tourists, and traffic. If this is the kind of life style you don’t mind dealing with on a daily basis, this neighborhood’s for you. As far as the city is concerned, it’s for everyone, and surely everyone will be awed by it. Jim Clark is considered by some to be America’s most effective and successful serial entrepreneur. His worth is estimated at 2 billion dollars. He founded Silicon Graphics, Inc., Netscape Communications Corp., and Healtheon Corp. All have been monumentally successful. He has competed with Bill Gates and is considered a legend in the technology sector. Tom Jermoluk is a former executive at SGI and Excite@Home. He is also considered one of the technology sectors most successful businessmen. Paul Murphy is a local South Florida builder with a wide ranging portfolio of over 22,000 units. 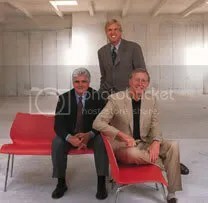 These three dynamic men are the brains and driving force behind Hyperion Development. Jim and Tom know how to make millions in the digital realm but does that mean that it will translate into success in the development realm? With the guidance of Paul, and collaborators such as Arquitectonica, it is likely. Their projects, like their careers, are groundbreaking. They exemplify towering futuristic giants. Blue’s design is simple and streamlined. Its location is highly visible and has unsurpassable iconic value. 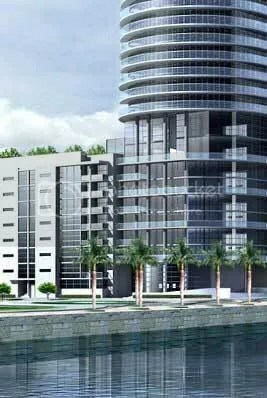 Marina Blue’s location although great is not as iconic but the building’s height and standard setting design will surely make up for it. The crucial point here is that these men represent some of the most talented elements of the capitalistic world. They know how to profit. They know where the future lies. They demonstrated that during the tech revolution of the 80’s and 90’s. So does that mean that they feel that Miami’s future is bright? Surely it must. It is nice for the city to have such high profile and respected investors helping form the city’s greatness. Hyperion, like the Related Group and Terra, among others, is interested in branding itself as a high quality developer. They have plans for additional projects and their marketing team has been at the forefront of the Uptown movement. Keep in mind that the notion of their being an Uptown is relatively new by Miami standards. Their team recognizes the changes that the city will undergo and have taken the liberty to provide the neighborhood with an identity that matches the progress. It is not clear what Hyperion’s legacy will be. They have only worked with Arquitectonica in design work. Only two projects have come up. Time will tell how their vision will unfold. They are now members of Miami’s growing billionaire developers club. They are definitely betting on Miami. These guys rarely lose.